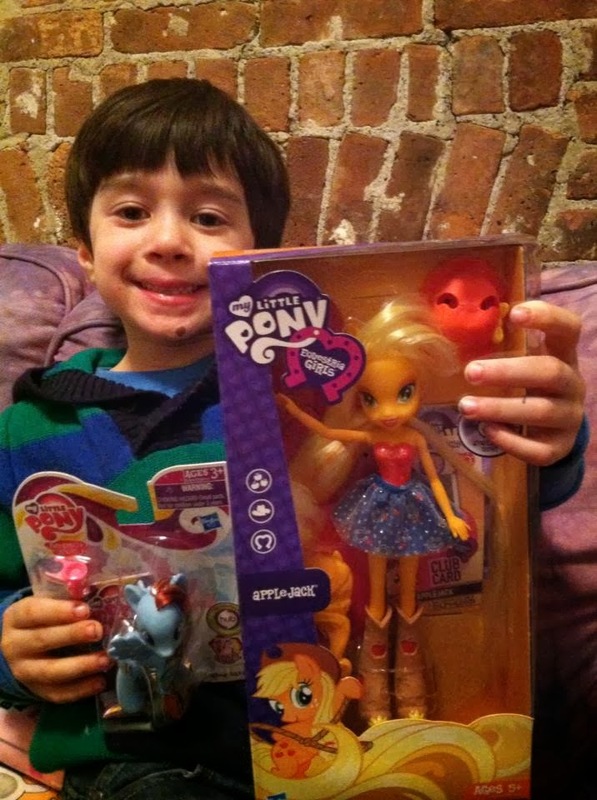 The other day, I wrote a post about my son Ari’s love for My Little Pony. Before I knew it, the post had gone viral! I wrote to Hasbro and sent them the post. Kristin from the P.R. department was gracious enough to send Ari over some awesome My Little Pony toys. 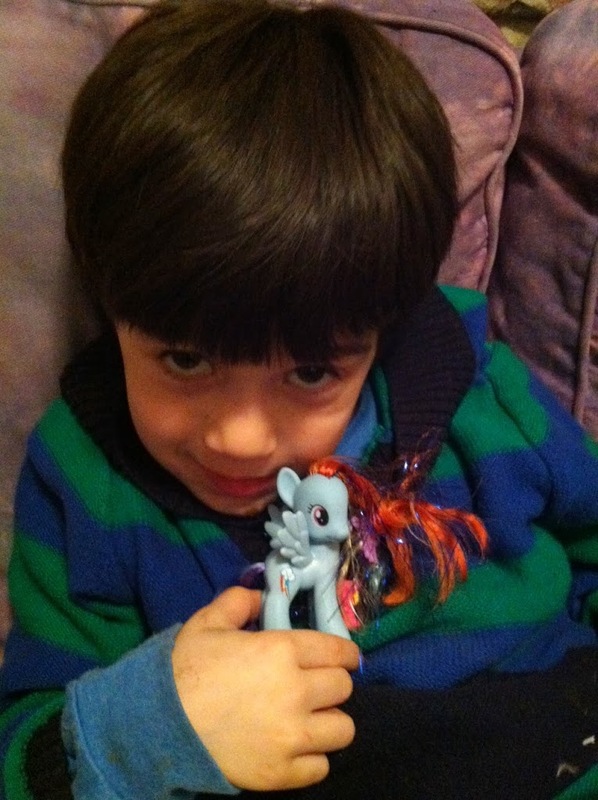 Ari is holding the Applejack Equestria girl and his favorite pony of all time, Rainbow Dash. Thank you so much to the wonderful people at Hasbro for making my son’s day. 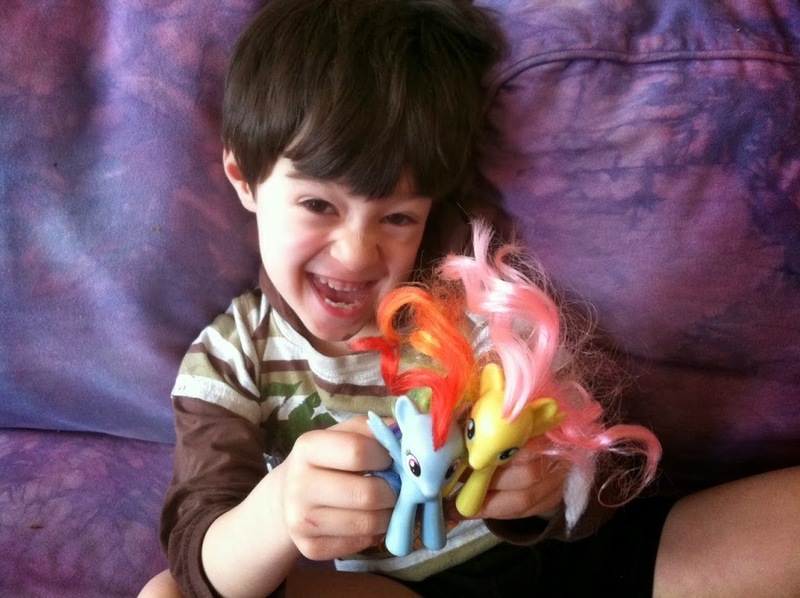 He is so excited to play with his new My Little Pony toys. My 4 year old son Ezra loves MLP too! I’m glad to see other moms embracing this instead of trying to steer them toward something more stereotypically male. My whole family enjoys the show together, including my husband! Though I must admit, i struggle with the idea that one day he will realize that It’s not widely accepted for a boy to like MLP. I just wanted to thank you for posting about it and tell Ari he’s not the only little boy out there who loves the show! !